White card with mommy, daddy and baby girl bears. Picture of baby bear in a pink bassinet, purple ball and baby keys on the ground. 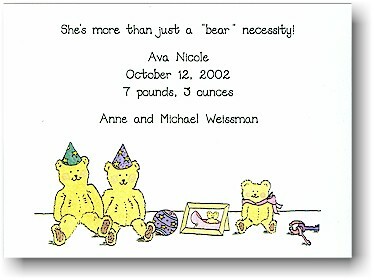 White flat card with baby girl bear wearing pink bow around neck. Picture of baby bear in a pink bassinet and baby keys on the ground.